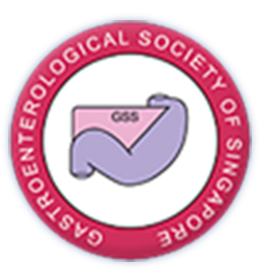 The Society shall be known as “Gastroenterological Society of Singapore” (hereinafter referred to in this constitution as the “Society”). The place of the business of the Society shall be at “2, College Road, Singapore 169850” or such other address as may subsequently be decided upon by the Executive Committee and approved by the Registrar of Societies. The Society shall carry out its activities only in places and premises which have the prior written approval from the relevant authorities, where necessary. To work in close association with the National Foundation of Digestive Diseases or any such society fostering similar purposes and objects as the Society. The Executive Committee may at its discretion from time to time appoint a Singaporean to be a Patron. Ordinary Members shall be medical practitioners who hold a registrable qualification in Singapore and who are practicing Gastroenterology and/or Hepatology or are interested in Gastroenterology and/or Hepatology. Associate Members shall be healthcare/scientific workers other than medical practitioners engaged in fields related to Gastroenterology and/or Hepatology or medical practitioners who do not qualify as an Ordinary Members. Honorary Members shall be distinguished persons who have rendered notable services to the Society or to the advancement of Gastroenterology in Singapore and are recommended by the Executive Committee, in consultation with the Trustees. A member of the Society may at any time cease to be a member by giving notice in writing to that effect addressed to the Secretary at the place of business of the Society. A member of the Society shall cease to be in good standing if the member is in arrears of subscription fee for more than 2 years. All membership application shall be expeditiously considered by the Executive Committee of the Society. A copy of the constitution of the Society shall be provided to every approved member, who has paid his or her first subscription. Without assigning any reason whatsoever, the Executive Committee may refuse an application for membership of the Society. Any additional fund required for special purposes may only be raised from members with the consent of a general meeting of the members. Any member dealt with under section 2 of this Article shall have the right to appeal to an Extraordinary General Meeting called for this purpose. The Executive Committee shall call an Extraordinary General Meeting if requested to do so by any aggrieved member within 21 days of receiving such a request. The procedure at such a meeting shall be in accordance with Article 12 section 3. Besides the Five (5) Ordinary Committee Members, all office bearers must be specialists or specialists-in-training in Gastroenterology or Hepatology. Names of the above offices, except President,shall be proposed and seconded at the Annual General Meeting and they shall be elected by a simple majority vote of the members to hold office for a period of two (2) years. The office of President shall be succeeded by the out-going President-Elect. In the event the President-Elect resigns before the AGM or decides not to take up the office of President, the office of President shall be elected in accordance with section 2 and 3 of this Article. The Society shall not raise funds from the public for whatever purposes without the prior approval in writing of the Assistant Director Operations, Licensing Division, Singapore Police Force and other relevant authorities. Any proposed amendment of the rules shall be made in writing to the Honorary Secretary at least 21 days before the date of a General Meeting. The Honorary Secretary shall circulate to all members any such proposed amendment at least 14 days before the date of the General Meeting. Any amendment of the rules of the Society shall be null and void unless at least two-thirds (2/3) of the Ordinary members in good standing present at the Annual General Meeting vote in favour of such amendment. The Society shall not amend its Constitution without the prior approval in writing of the Registrar of Societies. In the event of any question or matter arising out of any point which is not expressly provided for in this constitution, the Executive Committee shall have power to use their own discretion to decide on any such question or matter. The decision of the Executive Committee shall be final unless it is reversed at a General Meeting of members. The Society shall not be dissolved, except with the consent of not less than three-fifths (3/5) of the Ordinary members of the Society, for the time being resident in Singapore, expressed, either in person or by proxy at a General Meeting convened for the purpose. In the event of the Society being dissolved as provided above, all debts and liabilities legally incurred on behalf of the Society shall be fully discharged and the remaining funds will be transferred to a professional medical body or charitable organization in Singapore as decided by the majority of the members at a General Meeting convened for the purpose of dissolving the Society. A Certificate of Dissolution shall be given within 7 days of the dissolution to the Registrar or Societies.